Take Me to the Good Part: You can skip to the most memorable scenes in a book by topic, like “flirty banter” or “makeups” or even those NSFW steamy sections. 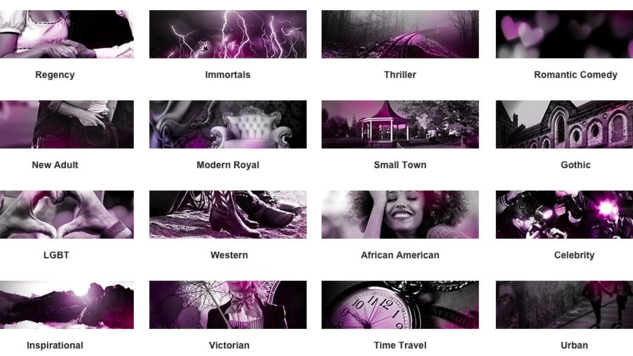 Micro Genres: You can search for books by category (Gothic, LGBT, Urban), character type (banker, vampire, pirate), story theme (amnesia, online romance, childhood sweethearts), or steaminess level (sweet, simmering, hot damn). Top Performers: You can listen to exclusive celebrity narrations from Blair Underwood, Dermot Mulroney, Jesse Metcalfe, and more. Thousands of Popular Titles: You can listen to everything from Audible Originals to bestselling novels by Nora Roberts, Sylvia Day, Debbie Macomber, Robyn Carr, and more. And the best part? The package truly is unlimited, meaning you can listen to as many audiobooks as you want each month for a flat fee. If you already have an Audible or Kindle Unlimited membership, the Audible Romance add-on is only $6.95/month. And for the standalone package, it’s priced at $14.95/month. The first month is free, so you can try it out if you’re still on the fence. Now excuse us while we browse titles starring strong-willed heroines.